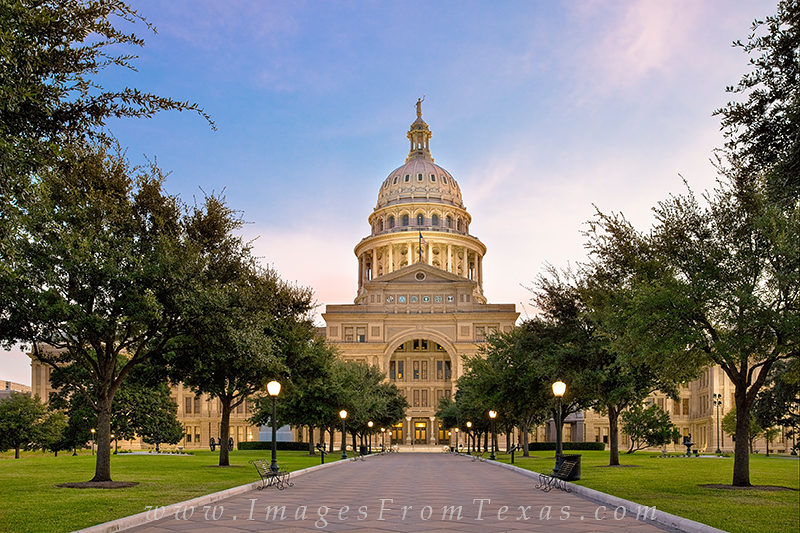 Just a little before sunrise, this was the view of the Texas State Capitol on a warm late September morning. The air was calm and the sky was a perfect blue. Photo © copyright by Rob Greebon.